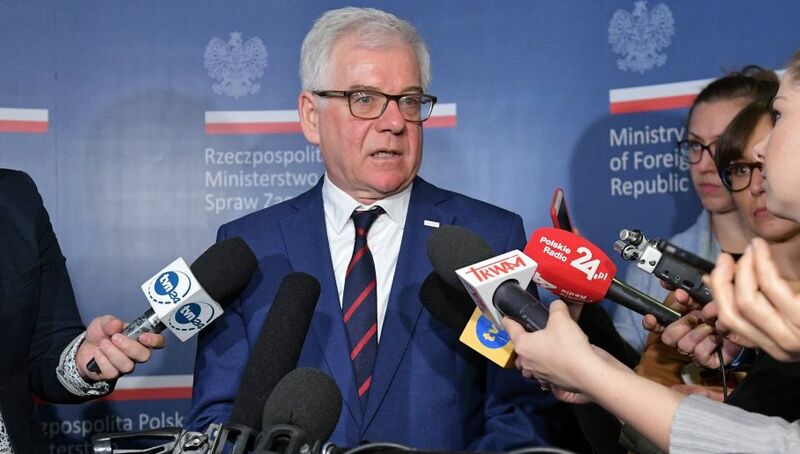 Minister of Foreign Affairs Jacek Czaputowicz issued a letter to the Polish Constitutional Tribunal in which he expressed his doubt over the previous motion by the Justice Minister. Justice minister: is EU treaty compatible with Polish constitution? In August, Justice Minister and Prosecutor General Zbigniew Ziobro filed the motion asking judges of the Constitutional Court to determine the extent of the European Court of Justice’s legal powers over the Polish judicial system. Specifically, the motion asked whether Article 267 of the Treaty on the Functioning of the European Union (TFEU), allowing the ECJ to give preliminary rulings, is consistent with Poland’s constitution. Another point of concern was the legality of the judicial question that Polish judges issued to the EU Court of Justice. Five questions about the lawfulness of the government judicial reform gave rise to the subsequent ECJ’s investigation. Referring to a number of past court verdicts, in a letter sent on October 12, but which came to light on Wednesday, Mr Czaputowicz deemed Mr Ziobro’s motion to lack legal ground. “As the state’s domestic courts act according to the European law, the pre-judicial question allows for uniform application of the EU legal system and decreases the probability of a conflict of laws among member states. In consequence, it allows for the application of the same EU legal framework in member states in different ways,” the statement reads. The document indicates that, in the past, judges had different interpretations on whether the Constitutional Tribunal should analyse the accession treaty only, or whether assessment of the EU laws lies also within its powers. However, the letter cites the Constitutional Tribunal’s verdict from 2005. It then assessed positively the EU accession treaty’s compatibility with the Polish Constitution. In that verdict, the document says, the Constitutional Tribunal itself clarified its own competencies as being limited to the accession treaty only. In other words, Article 267 is part of the legal framework that Poland accepted upon entering the European Union. The Foreign Minister’s position is in no way binding for the Tribunal. However, it signals a clear division within the government over how the dispute with the ECJ should be approached. “The European Court of Justice will fast-track the European Commision complaint about Polish judiciary reform”, Polish Radio reported on Wednesday. This means that the ECJ decision will be known by April at the lastest, not within the usual time period of 20 months. Additionally, within the next few weeks, the ECJ will release its verdict over the preliminary rulings: suspension of some aspects of the reform, among them the change in judges’ retirement age and the appointment system.